In early days, human life was very hard. They spent their life in caves, wrap animal skin and tree leaves over their body and hunt animals for food. With time, they discovered many good things like fire, tools, farming etc. that made their life better than earlier. But these changes in early human's life had taken a very long time. 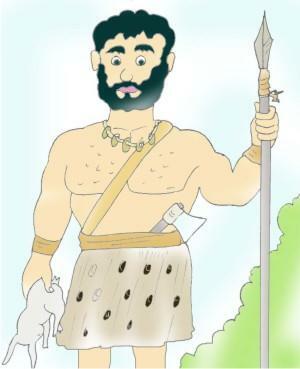 Through 'Early Human's Life' educational series, we are trying to take some snapshots of efforts made by early humans to become civilized. Today, we live a better life in concrete flats and facilitated with TV, Video, schools and colleges; have variety of nutritional foods, and better means of communication and transportation. But can you imagine a life without such facilities for us? A life where there is no big society, no house to live, no good food, no clothes to wear etc. How does it feel to listen? Yes, you are right. We are talking about the wild life. And this was the life of none other than our ancestors (Early man) who used to live in jungle and lived a very hard life. 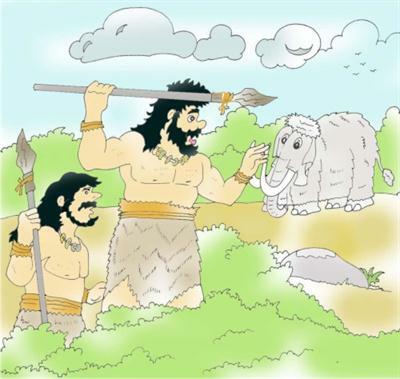 Early humans lived in jungle and were afraid of bigger and stronger wild animals. Earlier they had no house to live in and they spend their time on the trees or hide themselves behind the bushes. But it could provide them security from wild animals, rain, winter and sun heat. So, they started living in caves. As food and clothes is the basic necessity of humans, they started wrapping tree leaves and animal skin over their body to protect themselves from cold and heat. But they needed food also to live. They do not know how to grow crops in fields and finding food was not easy. In search of food, they had to go from one place to another. Earlier, they used to eat fruits from tree or roots of plants. Then they started hunting animals for food. In start, early man started killing small animals for food. But they could not kill large animals with their bare hands. So, they used sharp edged stones to kill animals. Probably, this was the first tool he had started using for his need. They kept on improving their tools with time and requirements. They found that if they tied a sharp stone to a long piece of wood, they could throw it to a wild animal at a longer distance and they did not require go near to kill it. This was the invention of a spear. Later, on they improved it by making with bones and started using tools not only for hunting but also for cutting, digging and sewing. Early humans ate raw flesh as they did not know how to cook their food. They had seen broken out fire in jungle severally, but did not know how to make it and how they could use it. Rather, they were afraid of it like animals. With time, they felt that they could use it for keeping themselves warm in winter. But making fire was really a big problem. So, they decided to keep jungle fire burning and started to adding dry grass or leaves to it. But it was not a permanent solution. One day, they saw sparks coming out from rubbing stones who were rolling down from the hills or some other way and got idea to make fire by rubbing two stones. This was really a great discovery as now they were able to make fire whenever required. With time, they learnt other uses of fire too. They found that they can light up their caves and protect their family from cold and wild animals using fire. They also came to know that the roasted food is much softer than raw one and also tastier to eat and this was the beginning of cooked food. 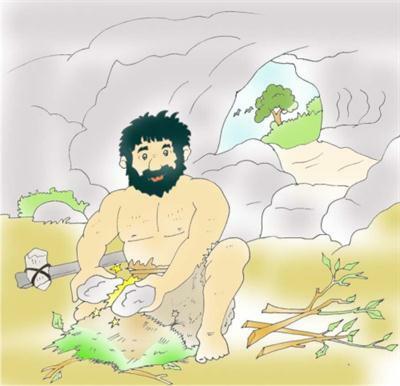 In this article, we discussed about hard life of early humans and their efforts to make it more comfortable. We explored the ways he invented tools, fire and searched better place to live in. In our next article, we shall discuss some more very interesting discoveries by early human and the expected ways he explored them. We shall also discuss his efforts to be more cultured and what make him social in behavior. Access your Windows applications from anywhere on a cloud Windows desktop through your favorite device (PC/Macs or iOS/Android) from CloudDesktopOnline.com. For any additional cloud related software, try Apps4Rent.